It is nice to decorate the windows in sparkling lights during the holidays and at other times to let everyone know that it is time for a celebration. Here are a few suggestions to keep in mind! What choice do I have in lighting around my window? 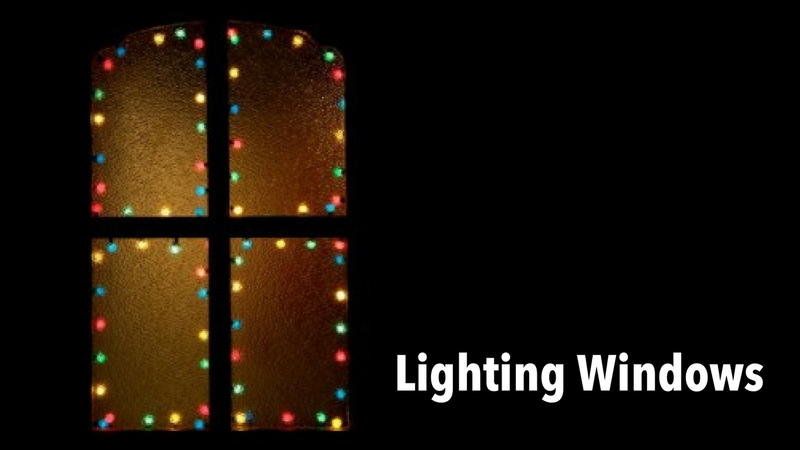 While are one of the most common lights to use in commercial applications for outlining windows, there are more lighting options to choose from whether you are lighting a restaurant or a home. 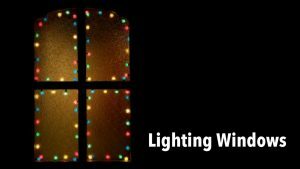 Rope lights – this style of lighting looks incredible outlining windows and can be cut to the desired length within an 18-36 inches distance between cut marks labeled on the rope. (Check the specification for the color and style you are considering for this exact number.) Clips that screw on for easy and secure installation are included with all of our spools or sold separately. Mini lights – these are classic and give you a lot of choices of bulb color and wire color. 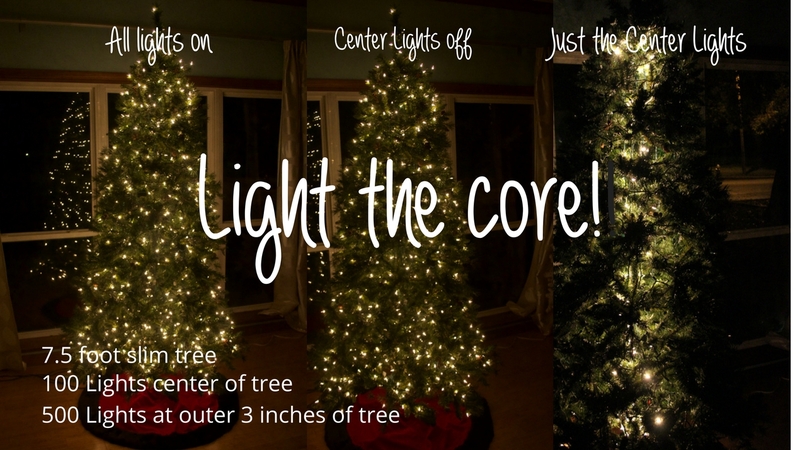 There is a large variety in both color and spacing in mini lights as well and they are extremely versatile and easy to install. You can double back with the lights if you want a closer spacing than what is available. Install with adhesive mini lights clips that are available here. 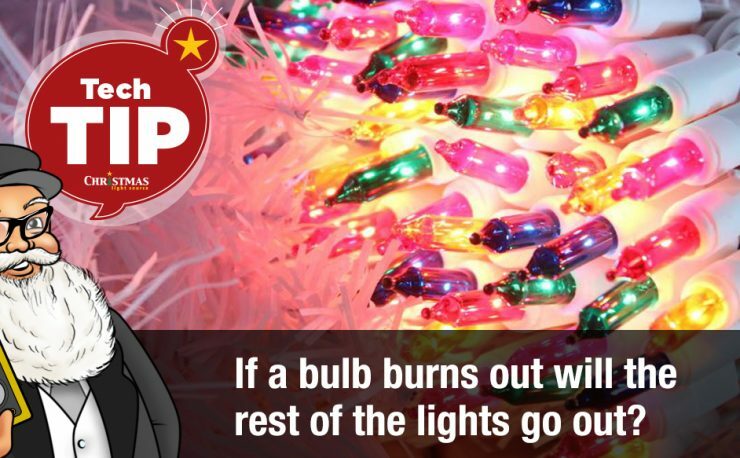 Larger incandescent bulbs – these bulbs and cords allow you to choose your cord color and spacing then choose your bulb color, size and shape. Available in C7, C9 and Round of different diameters, these bulbs work as well for commercial users as they do restaurant and retail store owners. Twinkling C7 or C9 bulbs interspersed through your display work great as an accent to any static project. These twinkle bulbs are available in both incandescent and LED versions. Consider thinking outside the box when it comes to adding color to your windows. We LOVE white and multi but think of all the other color possibilities! When snow is on the ground, think white and blue lights. From coast to coast, folks are celebrating the Holidays with pink, purple and teal as well as the traditional bold primary colors. 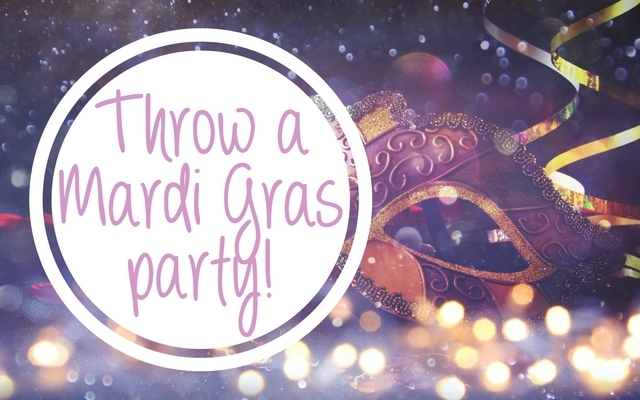 Use color to celebrate a favorite sporting team’s colors or use lights as part of your overall party theme. Imagine outlining the windows with pink mini lights for a princess birthday party. Look to the colors that you use indoor for your Holiday and party planning and extend those colors to your windows for a unified decorating scheme. 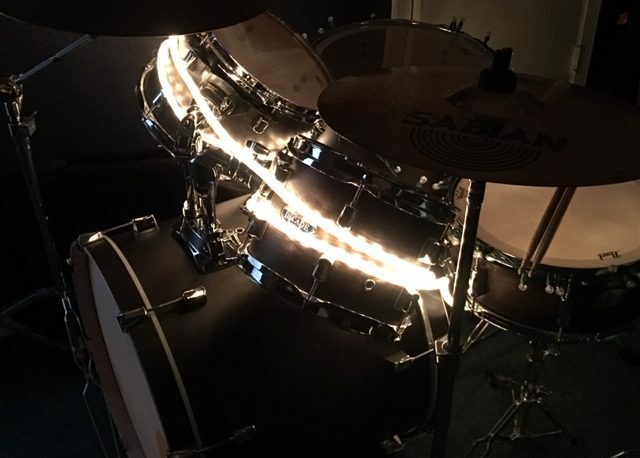 Lighting a drum set with lights! 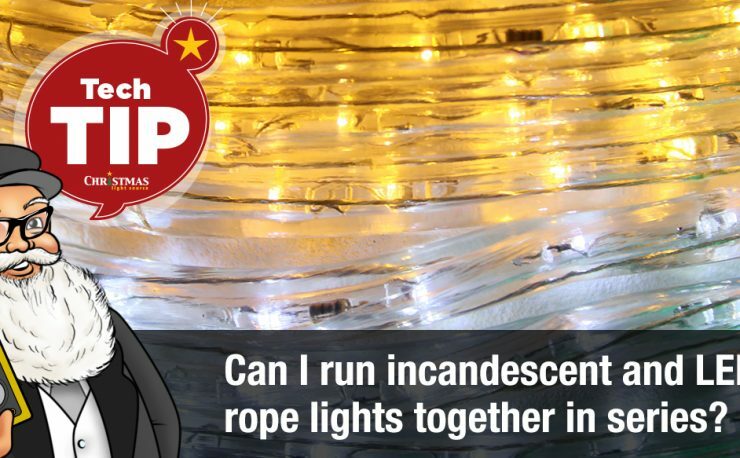 Can I run incandescent and LED rope light together in series?